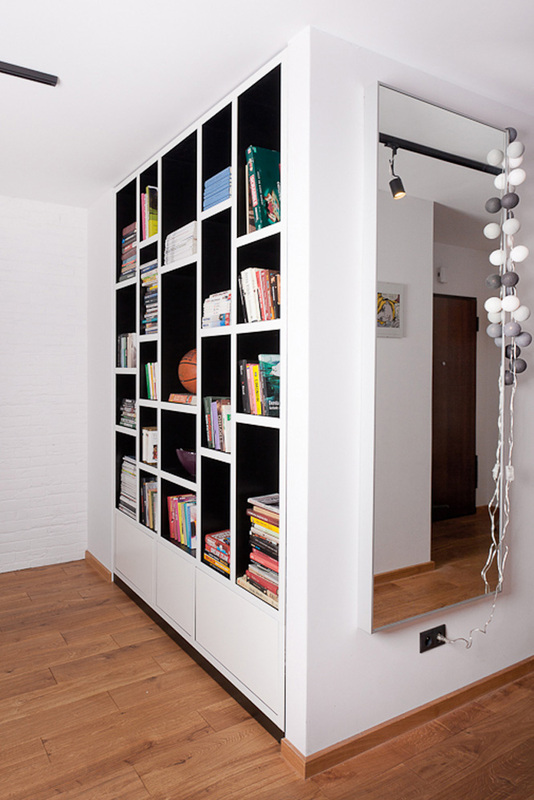 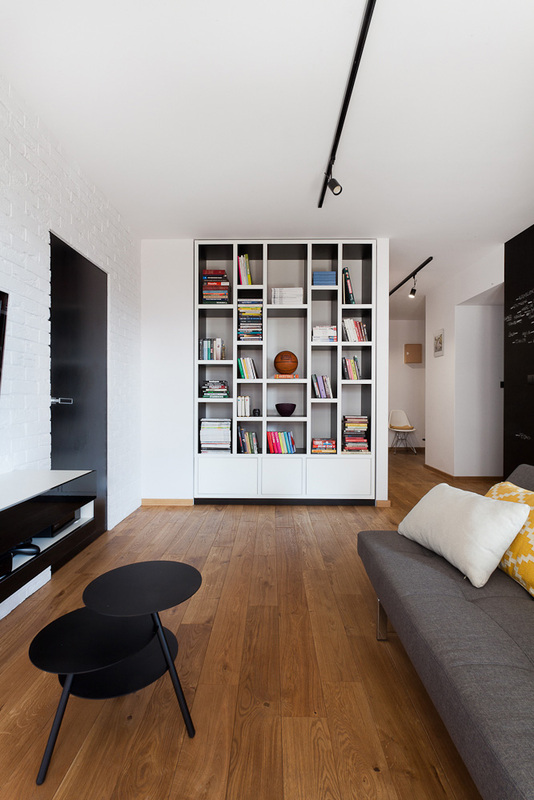 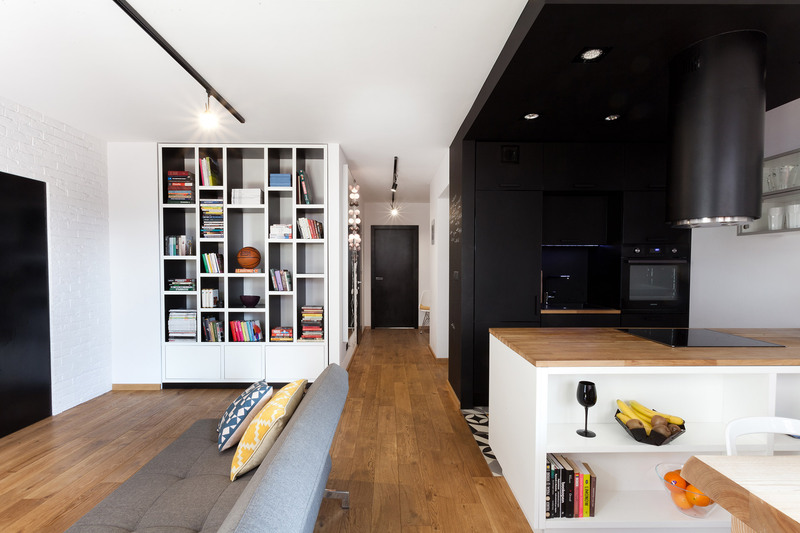 A contemporary bookcase characterized by vertical lines divided across asymmetrically. 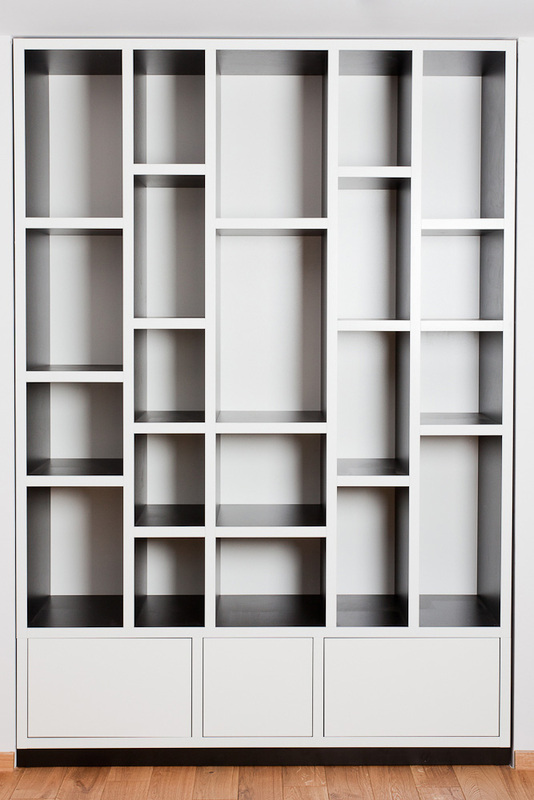 With any configuration, you can place objects on the shelves of different heights and sizes, providing excellent flexibility using each individual shelf space. 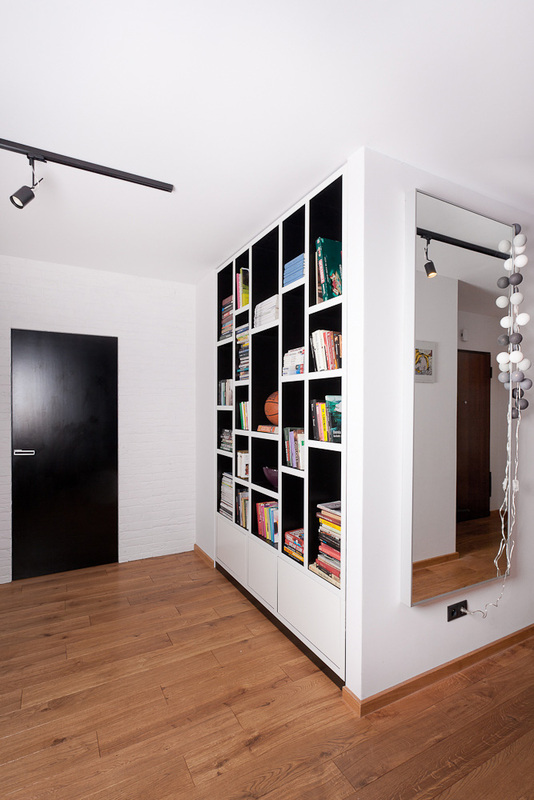 At the bottom of the bookcase are easily accessible closed spaces. 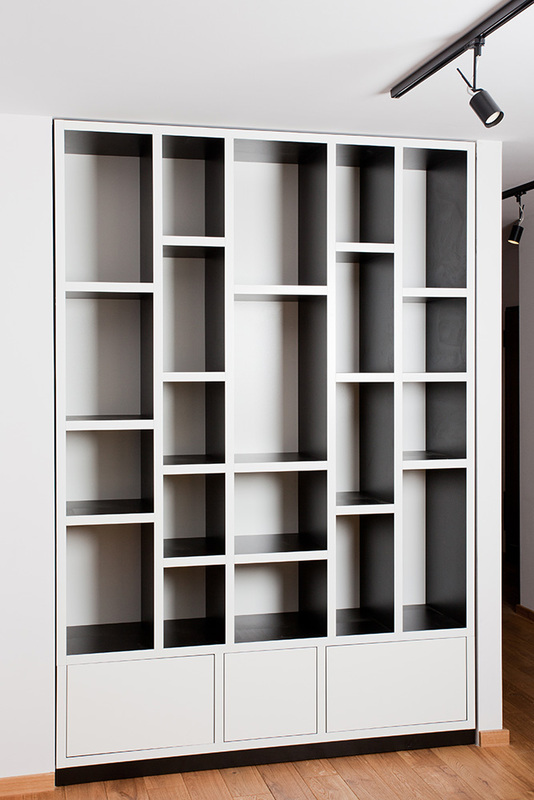 Bono shelving unit is available in the variety of sizes colours.